TNW Deals’ Python Programming Bootcamp has perennially been one of our most popular course packages. So it stands to reason that when it came time to update that Python learning package, it only made sense to add in even more of what made the offering so popular in the first place: smart, insightful, easy-to-follow Python tutorials. Which brings us to Python Programming Bootcamp 2.0, a streamlined, even more adrenalized version of the Python deep-dive users appreciate. And this time, it’s only $39, an over 90 percent savings from its original cost. People have been slowly flocking to Python for nearly 25 years because it’s a versatile, yet elegantly simple programming language that helps developers effectively pack more function into less code. The nine courses found in this Bootcamp bundle embody that approach, offering simple explanations and hands-on examples and activities to make the power of Python that much easier for new and beginning students. After getting your feet wet with fundamentals in Fast Track Python for Newbies and Python Programming for Beginners: Learn Python in One Day, your instruction moves to actual creation: in Learn Python Image Processing by Making Instagram-Style Filters, you’ll create cool image filters just like your favorites on Instagram and Snapchat; and in Create a Raspberry Pi Smart Security Camera with Python, you’ll follow the steps to build your own working security camera. 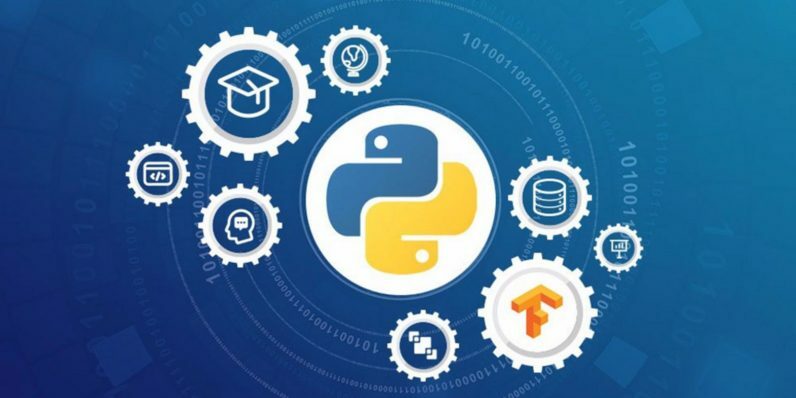 Begin pushing your instruction forward in more intermediate-sized projects with The Complete Python Programming Boot Camp: Beginner to Advanced as well as the extremely satisfying Learn Python with 70+ Exercises course, which allows you to create and see the fruits of your labors while reinforcing your Python skills. By then, you’ll be ready to dig into some of the areas where Python is pushing boundaries in 2017. Data analysis and visualization, as well as how to manipulate large data sets, is at the heart of Master Data Visualization with Python. Meanwhile, Python for Finance: Investment Fundamentals and Data Analytics takes you inside how to apply those data analysis skills to the world of finance, crafting stock and statistical modeling into programs that can actually help you make money. And you’ll even get a full crash course in AI and the stunning new world of machine learning in Machine Learning with Python. After moving from beginner to Python expert, you’ll be able to use all this intensive training to land any number of programming jobs — with a critical new skill on the resume. This package is on sale right now at over 90 percent off while this deal lasts.